Williams rushed just once for one yard during Sunday's game against the Patriots. Analysis: Williams finished the night with just three offensive snaps in total, though he did play 27 snaps on special teams. He should continue to serve mainly as a special teams contributor for the Chiefs, but things could change if injuries arise ahead of him on the depth chart. Williams saw just seven offensive snaps Sunday versus the 49ers, catching two passes for 16 yards on the day. 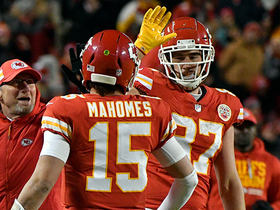 Analysis: Williams provides the Chiefs with a reliable pair of hands in the event the team is trailing and in need of the two-minute offense, but that hasn't been the case through three weeks with quarterback Patrick Mahomes under center. 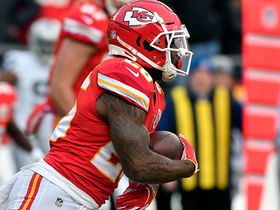 Williams ranks third in the pecking order for carries behind both Kareem Hunt and Spencer Ware, leaving him off the fantasy radar in the vast majority of leagues. Williams rushed only once for no gain and played just seven offensive snaps in Week 1 against the Chargers. Analysis: Williams is slated to be the No. 3 back for the Chiefs this season, but it appears that won't result in much playing time behind both Kareem Hunt and Spencer Ware. Williams has proven to be a capable replacement should either of the two backs suffer an injury. 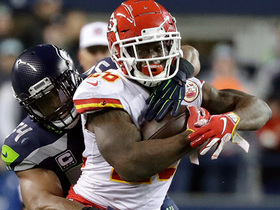 Williams has earned a spot on the Chiefs' 53-man roster, Adam Teicher of ESPN reports. 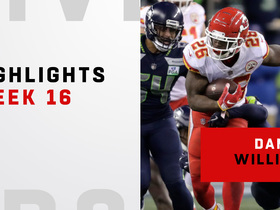 Analysis: Williams has made it over the likes of Charcandrick West and Kerwynn Williams to serve as the third option out of the backfield behind Kareem Hunt and Spencer Ware and as a special teams contributor. He hasn't been particularly effective as a runner when called upon, but he did average a career-best 3.9 yards per carry on 46 totes with the Dolphins last season. Williams (shoulder) lost three yards on two carries and caught his only target for 12 yards in Saturday's preseason game against the Bears. Analysis: Williams missed the team's prior preseason contest due to the shoulder issue, but it appears the injury was relatively minor. He remains in a decent position to hold a 53-man roster spot out of cuts, especially following the release of Charcandrick West. Williams (shoulder) didn't play in Friday's preseason game against the Falcons. Analysis: Williams suited up for the contest but didn't play. With Spencer Ware (knee) and Charcandrick West (concussion) also held out, Williams probably didn't lose any ground in the competition for backup work. Williams (shoulder) is dressed for Friday's preseason game against the Falcons, Nate Taylor of The Athletic Kansas City reports. 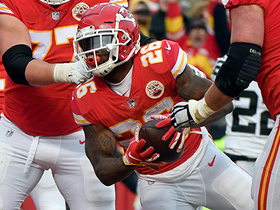 Analysis: Williams is among a large group of running backs vying for limited spots behind Kareem Hunt and Spencer Ware, but his experience may give him a leg up on the competition. His return to action Friday also provides him with an opportunity to show the coaching staff he's worthy of a spot. Williams injured a different joint in the same shoulder that required offseason surgery, Brooke Pryor of The Kansas City Star reports. Williams left Sunday's practice early due to a shoulder injury, Brooke Pryor of The Kansas City Star reports. 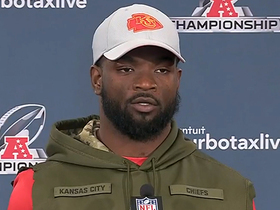 Analysis: Williams had offseason shoulder surgery prior to joining the Chiefs, and it's unclear if his current shoulder ailment is an aggravation of that. Look for Charcandrick West to get some extra reps if Williams misses any time. 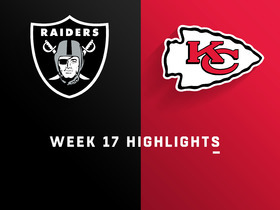 Williams (shoulder) has received full clearance for training camp, Matt McMullen of the Chiefs' official site reports. "Williams, who we signed and was coming off surgery, is doing great," said Vice President of Sports Medicine and Performance Rick Burkholder. "He did everything today [Monday]." 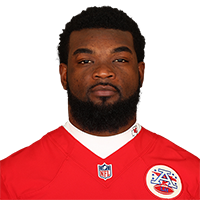 Williams (shoulder) was restricted to individual work during the Chiefs' offseason program, Pete Sweeney of 610 Sports Radio reports. Analysis: Williams is bouncing back from offseason surgery to repair a separated left shoulder that cost him the final five games of the 2017 season. 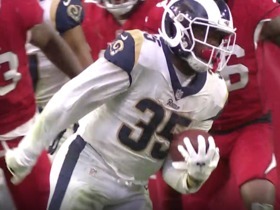 There seems to be a good chance the running back will be good to go for training camp, but that notion is far from certain. 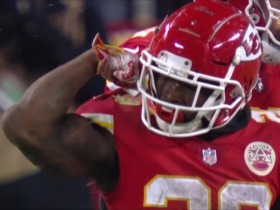 When healthy, Williams will compete with Spencer Ware (knee) and Charcandrick West for depth slotting under Kareem Hunt (hamstring). The Chiefs are expected to sign Williams (shoulder) on Thursday, Adam Teicher of ESPN.com reports. Williams underwent surgery following the season to repair a separated left shoulder, which had prevented him from playing in the Dolphins' final five games, Jason Lieser of The Palm Beach Post reports. Williams (shoulder) will be an unrestricted free agent at the end of the league year but hopes to return to the Dolphins in 2018, Barry Jackson of the Miami Herald reports. Williams (shoulder) is inactive for Sunday's game against the Bills. Analysis: With Williams out, Kenyan Drake -- who was on the field for 95 percent of the Dolphins' snaps on offense in Week 16 - will head the Miami backfield in the team's regular-season finale, with Senorise Perry and De'Veon Smith on hand to work in reserve roles. Williams (shoulder) is listed as doubtful for Sunday's game against the Bills, Adam H. Beasley of the Miami Herald reports. Analysis: In Williams' likely absence, Kenyan Drake -- who was on the field for 95 percent of the Dolphins' snaps on offense in Week 16 -- is once again in line to head the Miami backfield in the team's season finale, with Senorise Perry and De'Veon Smith in reserve. Williams (shoulder) was limited at practice Wednesday. Analysis: If Williams is able to return for Sunday's season finale against the Dolphins, which is not a lock, he'd presumably work in a complementary role behind Kenyan Drake. Williams (shoulder) is inactive for Sunday's game against the Chiefs. Analysis: In Williams' continued absence, Kenyan Drake will once again head the Miami backfield in Week 16, with Senorise Perry and De'Veon Smith on hand to work in reserve roles. Williams (shoulder) is doubtful for Sunday's game against the Chiefs, Adam H. Beasley of the Miami Herald reports. Analysis: Williams' absence of late has led to Kenyan Drake seeing added work in the Miami backfield, an assignment that Drake has handled well. Assuming Williams is inactive Sunday, Senorise Perry and De'Veon Smith will be on hand to back up Drake. Williams (shoulder) remained limited at practice Thursday, Armando Salguero of the Miami Herald reports. Analysis: While it's encouraging that Williams has been able to practice this week, Joe Schad of the Palm Beach Post relays via coach Adam Gase that at this stage there are still some practice activities that make Williams' shoulder feel uncomfortable. We'll circle back on the running back's status Friday, but if Williams is able to suit up Sunday against the Chiefs, he'd provide the Dolphins with a welcome opportunity to spell Kenyan Drake more than they were able to while Williams was sidelined. Williams (shoulder) was limited at practice Wednesday, Armando Salguero of the Miami Herald reports. Analysis: Williams has missed the Dolphins' past three games, but he could be nearing a return to game action. If he does suit up Sunday against the Chiefs, we doubt that he'd supplant Kenyan Drake as the team's lead back in Week 16. Drake was effective in Williams' absence, so a complementary role presumably awaits Williams if he is in fact cleared to play this weekend. The Dolphins ruled out Williams (shoulder) for Sunday's game in Buffalo, Joe Schad of The Palm Beach Post reports. Analysis: After a limited showing at Thursday's practice, Williams seemed to test out the state of his left shoulder, but ultimately a lack of activity Friday and a doubtful designation for Week 15 sealed his fate. Out of the lineup for a third consecutive game, he'll yield the backfield to Kenyan Drake, who has reeled off 334 yards from scrimmage and one touchdown the last two contests. Williams (shoulder) is doubtful for Sunday's game against the Bills, James Walker of ESPN.com reports. Williams (shoulder) returned to a limited practice Thursday. Analysis: Per Chris Perkins of the Sun-Sentinel, if Williams is able to return to action Sunday against the Bills following a two-game absence, he could help ease the workload of Kenyan Drake, who has logged 56 touches over Miami's past two games. Given that Drake racked up 234 rushing yards and 100 receiving yards in that span, Williams would likely be limited to complementary duty in a scenario where he is available this weekend. Williams (shoulder) was listed as a non-participant in the Dolphins' estimation of Wednesday's injury report. Williams (shoulder) was officially ruled out for Monday night's game against the Patriots, Doug Kyed of NESN.com reports. Analysis: Williams did not practice again this week and it remains unclear when he may be able to return. Kenyan Drake is likely to be the workhorse in the Dolphins backfield once again, coming off a 120-yard performance with a touchdown on 23 carries, by far his best output of the season. Williams (shoulder) didn't participate in Friday's practice. Analysis: Williams has yet to practice in any capacity since dislocating his left shoulder in the Dolphins' Week 12 loss to the Patriots, and at this point, it's looking unlikely that he'll be available for the rematch Monday night. While Williams was sidelined for last week's win over the Broncos, Kenyan Drake took control of the lead-back role, finishing the contest with 120 yards and a touchdown on 23 carries and adding three receptions for 21 yards. Dolphins head coach Adam Gase said that Williams (shoulder) won't practice Thursday, Adam H. Beasley of the Miami Herald reports. Dolphins head coach Adam Gase didn't sound optimistic about Williams' (shoulder) chances of returning to practice this week, Armando Salguero of the Miami Herald reports. Williams (shoulder) won't play Sunday against the Broncos, Alain Poupart of the Dolphins' official site reports. Analysis: Williams has split the backfield workload with Kenyan Drake the last four games following the trade of Jay Ajayi to the Eagles, but Drake will be the clear-cut lead runner in Week 13. Depth back Senorise Perry is still in the NFL's concussion protocol, according to Adam H. Beasley of the Miami Herald, and is thus uncertain for Sunday's contest. As a result, De'Veon Smith could end serving as the primary backup to Drake. Williams (shoulder) did not practice Thursday. Analysis: Meanwhile, Senorise Perry (concussion) practiced fully Thursday, which clearly gives him a better shot at suiting up Sunday against the Broncos than Williams. If Williams ends up ruled out this weekend, Kenyan Drake would be in line to serve as the Dolphins' lead back, with Perry (if medically cleared) and De'Veon Smith providing backfield depth in Week 13. Williams (shoulder) won't practice Wednesday, Adam H. Beasley of the Miami Herald reports. Williams is expected to miss 2-to-3 weeks due to a dislocated shoulder, Ian Rapoport reports. Analysis: Williams had his shoulder pop out on a third-quarter hit Sunday at New England and was carted from the field after receiving medical attention. An MRI on Monday will determine the extent of the injury, which will in turn help the Dolphins formulate a prognosis. During Williams' absence, Kenyan Drake becomes the unquestioned lead back in Miami. Williams (shoulder) is expected to miss Sunday's game against the Broncos at the very least, Adam Schefter of ESPN reports. Williams (shoulder) likely will miss extended time, James Walker of ESPN.com reports. Williams was forced out of Sunday's game against the Patriots by a third-quarter shoulder injury. Analysis: With Senorise Perry (concussion) also out of the game, the last man standing in the Dolphins' Week 12 backfield is Kenyan Drake. 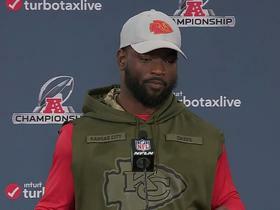 Williams will draw the start at running back Sunday against the Patriots, Adam H. Beasley of the Miami Herald reports. Analysis: The Dolphins have been splitting the snaps fairly equitably between Williams and Kenyan Drake since Jay Ajayi was traded to the Eagles on Oct. 31, so Williams' starting designation isn't likely to result in him taking on an overwhelming share of touches out of the backfield. Nonetheless, it's a justified assignment after Williams was the better producer of the two in the Week 11 loss to the Buccaneers, during which he rushed 10 times for 78 yards while hauling in his lone target for 24 yards. Williams rushed 10 times for 78 yards and brought in his only target for 24 yards in Sunday's 30-20 loss to the Buccaneers. Analysis: Williams outpaced backfield mate Kenyan Drake in rushing touches, but his final line was a bit deceptive. The 25-year-old racked up 69 of his 78 rushing yards on a single first-quarter scamper, but otherwise averaged just a yard per tote on his other nine carries. The distribution of the ground game work is likely to continue to fluctuate on a week-to-week basis, making it somewhat hard to trust Williams and Drake regardless of format. Dolphins offensive coordinator Clyde Christensen said Thursday that the Dolphins have no intention of breaking up the backfield timeshare of Williams and Kenyan Drake, Barry Jackson of the Miami Herald reports. Williams had nine rushes for 19 yards and two receptions for 20 yards as the Dolphins lost to the Panthers 45-21 on Monday. Analysis: Williams missed several practices during the week due to an illness, so perhaps a subpar game should have been expected here. Unfortunately for his fantasy owners, Kenyan Drake had a solid night with 82 yards rushing, including a touchdown run of 66 yards, and may be in line to take away more snaps from Williams as the season moves along. Williams (illness) is listed as active for Monday night's game against the Panthers. Williams (illness) is listed as questionable for Monday's game against Carolina. Analysis: Although he's listed as questionable, Williams was also credited with a full practice Saturday, and he's generally expected to play. He's a bit behind Kenyan Drake in the running back rotation, and the matchup against Carolina is a tough one, but Williams has some amount of pass-catching skill that's at least worth monitoring for most formats. Williams is expected to play Monday night against the Panthers despite missing practice time this week due to an illness, Armando Salguero of the Miami Herald reports. Analysis: Per the Dolphins' official site, coach Adam Gase noted Friday that Williams should be able to play Monday even if he ends up not practicing all week. It remains to be seen if Williams carries an injury designation in advance of the team's Week 10 contest, but at this stage, he remains on track to continue to working in a backfield time-share with Kenyan Drake. Williams (illness) won't practice Thursday, Armando Salguero of the Miami Herald reports. Analysis: The same applies to wideout Jakeem Grant, though we suspect that both players will recover in time to be ready for Monday night's game against the Panthers. Prior to the NFL trade deadline, Williams missing practice wouldn't have attracted much attention, but since the Dolphins dealt Jay Ajayi to the Eagles prior to Week 9, his status gains a level of import now that Williams and Kenyan Drake now head the Dolphins' backfield in a time-share situation. Head coach Adam Gase said Monday that the Dolphins will continue to use a two-man backfield of Williams and Kenyan Drake, James Walker of ESPN.com reports. Following the Tuesday trade that sent Jay Ajayi to the Eagles, Williams and Kenyan Drake are slated to head the Dolphins' backfield Sunday against the Raiders, Omar Kelly of the South Florida Sun-Sentinel reports. Analysis: Kelly suggests that Drake will likely serve as the Dolphins' lead back in base packages, while Williams seems likely to continue in his role as Miami's third-down back, and perhaps as the team's preferred goal-line option. While neither player is a high-percentage fantasy play in Week 9 thanks to the looming timeshare, with six teams on bye this week and Ajayi owners scrambling for running-back help, the duo could offer some degree of utility as plug-in options.